In the heart of Williamsburg, Brooklyn lives a community of Hasidic Jews, whose entire existence is based on their tight-knit community. In this community, the expectation is that no one enters, and no one leaves. So what happens when when young man does the unthinkable, and decides this way of life is not for him? Judaism was the first monotheistic religion in the world. The religion’s sacred texts and source of laws are the Five Books of Moses, known to Jews as the Torah. Judaism is the first of the Abrahamic faiths, which also include Christianity and Islam. Worldwide, the population of Jews is estimated to be just under 14 million people. The Jewish population of the United States is estimated at about 5.5 million, meaning Jews comprise less than 2% of the United States population (Source: Jewish Virtual Library). 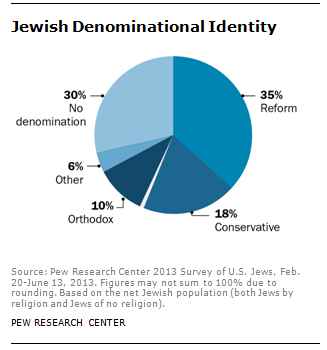 Within Judaism, there are three main movements: Reform, Conservative and Orthodox. Within each stream there are a wide variety of practices, and there are more than a dozen other sub-streams and small sects, such as Jewish Renewal and Reconstructionist. Ultra-Orthodox Judaism, also known as Haredi Judaism, is characterized by their social conservatism and rejection of modern secular Judaism. Although Haredim regard themselves as the most authentic group of Jews, it should be noted that within Haredi Judaism there are many denominations, such as the Hasidic sects, Lithuanian-Yeshivish and Oriental Sephardic Haredim. The Torah provides laws for how to live daily life, which the Haredim strictly obey. Haredim limit their contact with the secular world to prevent being “corrupted” or influenced by the outside world. This includes non-Jews as well as non-Haredi Jews. Haredi life is predominantly family-oriented. In many communities, women are the bread-winners, whereas men study full-time in a yeshiva or seminary beginning when they are 13-18. Gender separation is practiced in various places such as public areas and synagogues because modesty is highly regarded. Haredi communities are commonly found in Israel, North America (U.S.) and Western Europe. During the Holocaust, many communities were wiped out. Today, there are approximately 1.3-1.5 million Haredi Jews. Their population is rapidly increasing due to high birth rate (biblical commandment: be fruitful and multiply) and the close-knit community life. Most Haredi communities are located in and around New York City: Borough Park, Monset and Williamsburg. Hasidic Judaism is a sub-sect of Ultra-Orthodoxy. Hasidic Judaism was started by the Baal Shem Tov in Eastern Europe in the early 1700’s, and emphasizes the mystical and spiritual dimensions of Judaism. Hasidic Jews adhere strictly to Jewish law and follow Haredi traditions of avoiding contact with the outside world. The community also has separate norms and customs for dress and behavior. The Jewish Renewal movement is often regarded as neo-Hasidism. Jewish Renewal is transdenominational, meaning they accept people from all denominations of Judaism and do not ascribe to a specific denomination. It seeks spiritual renewal of Judaism and emphasizes gender equality and a “creative return to the process of transforming Hallakhah (Jewish law) so that it continues to be a living path to connection to God” (ALEPH: Alliance for Jewish Renewal). It focuses on prophetic and mystical traditions. Chant, dance, drama and meditation are encouraged as ways of achieving spiritual growth. Those who are marginalized in other Jewish communities are welcomed. 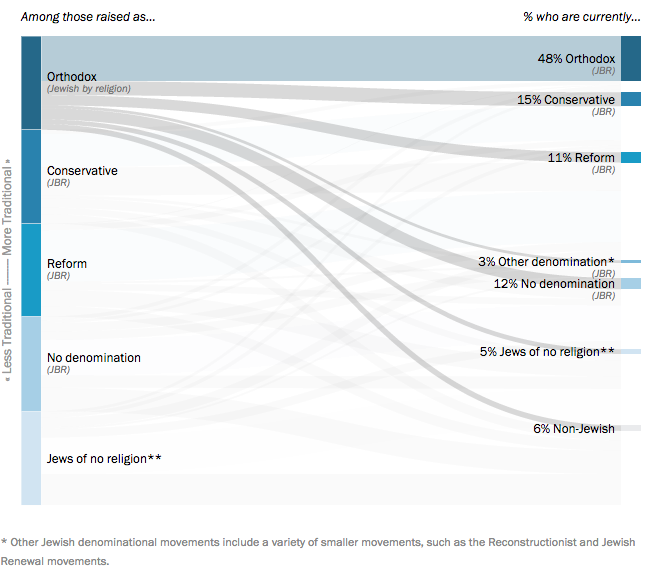 The movement is largely driven by ALEPH (Alliance for Jewish Renewal). Romemu is a progressive, egalitarian community committed to tikkun olam (social action). It was established in 2008 led by Rabbi David Ingber. Romemu adheres to the Jewish Renewal movement, a renewed Jewish mysticism that integrates meditative mindfulness and physical awareness into mainstream, post-modern Judaism. Romemu values five basic freedoms: movement, voice, thought, silence, commitment. This is so sad! Then again, in a culture where at nineteen years old you can become a teacher, without any life experience , you need to expect faulty reasoning.